Happy Tuesday Scrappers! It’s Kim here for another week of new releases and $1.00 Pixels over at Gotta Pixel. That’s right…another Tuesday means some more goodies for only $1.00. Wow! I can’t believe this is February 2, 2010! This year is going by so fast. The Bella Gypsy girls have filled their stores with awesome new releases this year and I can’t wait to show you more goodies each week! If you missed Lovey Dove yesterday when it made it’s debut, you can pick the element and paper pack up today at Gotta Pixel. Each pack is on sale for $1.00. Take a look…this kit has baby love written all over it. It’s perfect for scrapping those newborn and lovey pictures, but is versatile enough to scrap those everyday pictures of the kiddos. The images are linked to the store so all you have to do is click to head on over to Gotta Pixel. 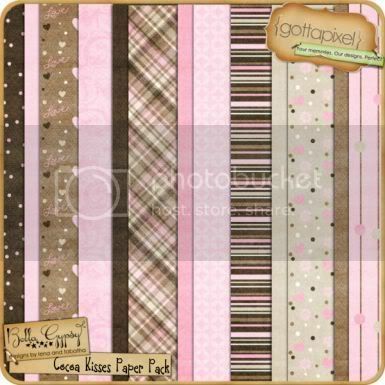 Cocoa Kisses is also available at Gotta Pixel today. The element pack and paper pack are also on sale for $1.00. What a gorgeous, PINK kit that is loaded with sweetness. Love is definitely in the air now that February is here. 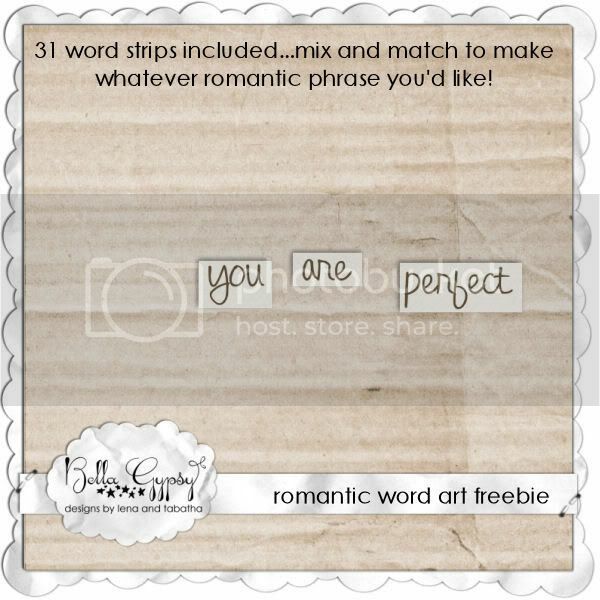 The Bella Gypsy girls have some romantic phrases for you today. Just click on the image to get your hands on this romatic word art. Well, that wraps up the new releases at Gotta Pixel today! Have a great week and I will be back next week for some more yummy goodies! Thank you! Your blog post will be advertised on the CraftCrave DigiFree search engine today (look for timestamp: [02 Feb 02:00pm GMT]). Thanks for the cool word stickers. They should be fun to ‘stick’ on layouts. Thanks for the great wordart!